As we reach the end of the working week, I am super happy that it is Friday! How about you? I normally work on a Saturday and Nik looks after Dexter but I’m taking the whole weekend off and I can’t wait! I’m off to the hairdressers tomorrow morning, then we have a family outing tomorrow afternoon, which I’m really looking forward to. Then on Sunday we are off to Manchester to visit Jurassic Kingdom, Dexter is going to be SO excited! What about you, what have you got planned? 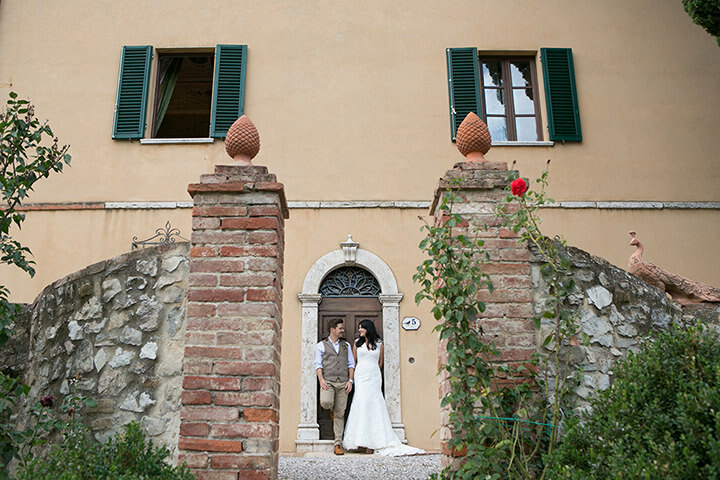 We are heading off to beautiful Tuscany today for this 3 day Italian Wedding extravaganza. 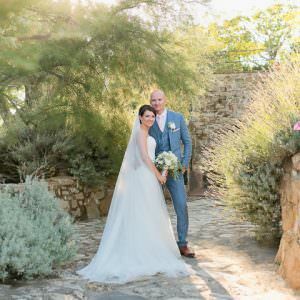 Lucy and Leon decided that if they were to hold their destination wedding in Tuscany then they had to put on a really good wedding for their guests… and this they did! 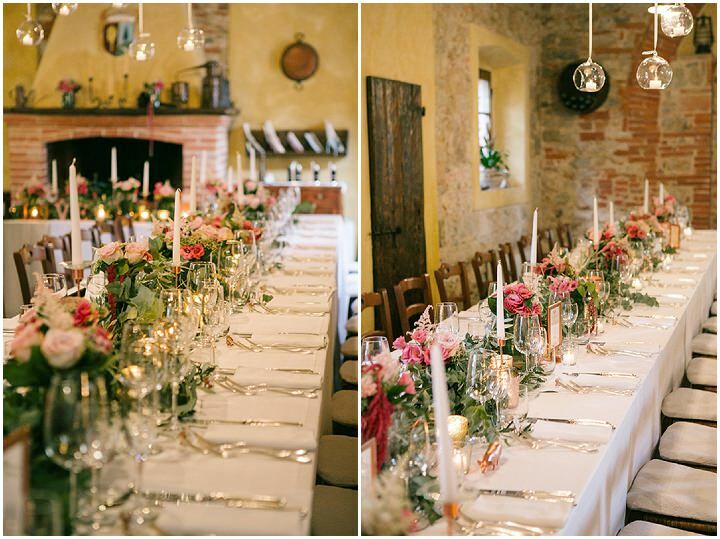 A 3 day celebration filled with fine food and wine, wonderful entertainment and stunning decor and flowers. 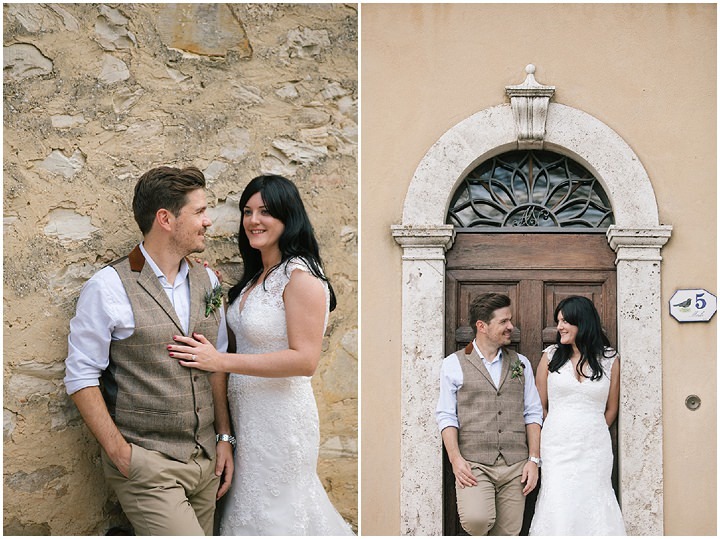 Thanks to Memory Wedding Tuscany for the images. 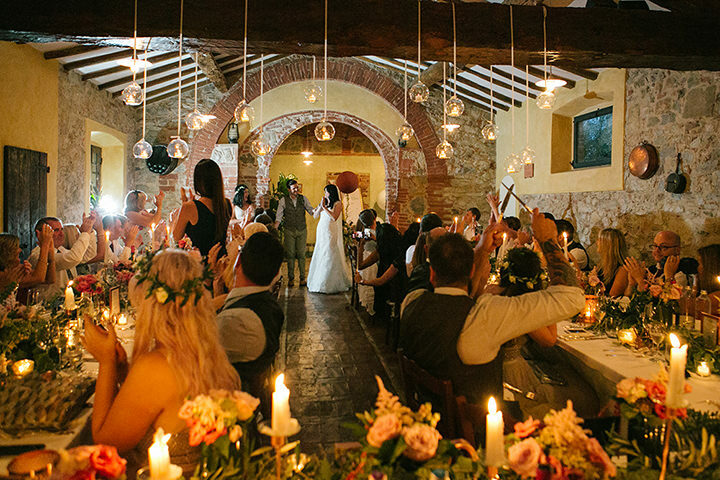 Our intimate Italian destination wedding weekend was filled with fun, music and laughter celebrating with our nearest and dearest. 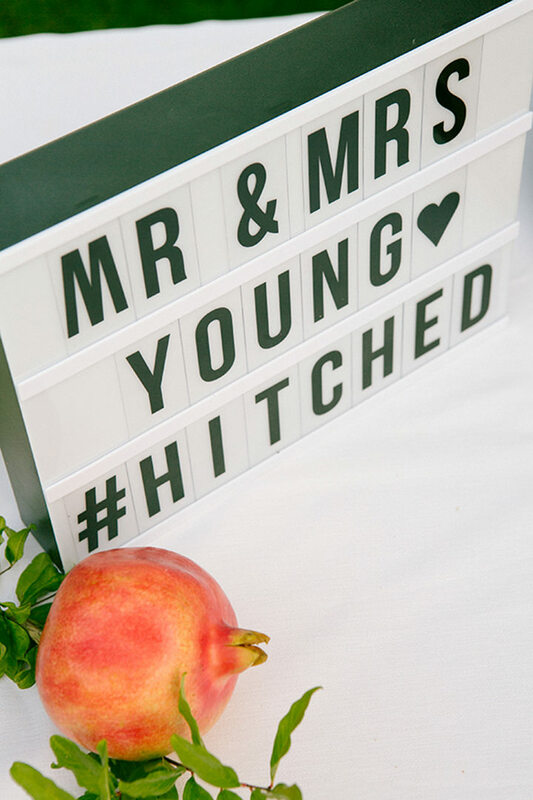 It began with pizza and prosecco on the Friday, a late afternoon outdoor wedding celebration on the Saturday and ended with an 80’s style Farewell BBQ on the Sunday. We met in an 80’s bar on Saturday 6th April 2008 – I was standing in the edge of the dancefloor and he walked over to me and his opening line was ‘you’re tall!’. We had been together nearly 8 years when he proposed. It was Christmas day. He had hidden the ring box in a pair of slipper socks and whilst I was un-wrapping, I was guessing what they were until I felt the box inside. He had already swiftly got down on one knee to help me put them on…and then took the box from my hand to get the ring out and ask me to marry him. We had very specific ideas on how we wanted to celebrate our wedding. 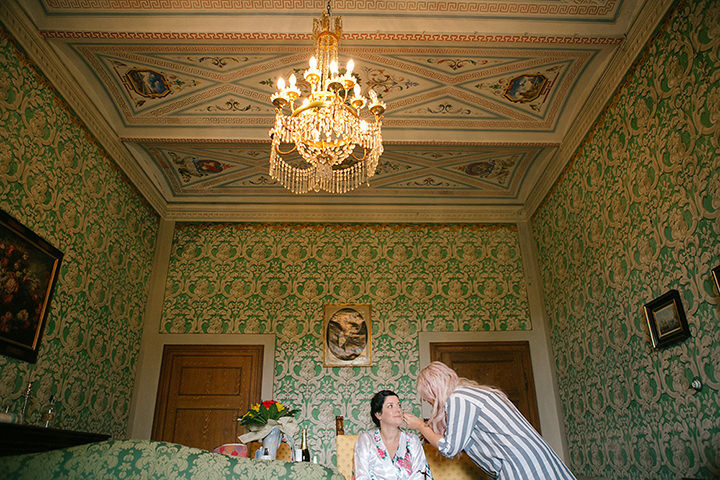 We knew we didn’t just want a one-day wedding, but instead we wanted to have three-day celebration with our nearest and dearest. 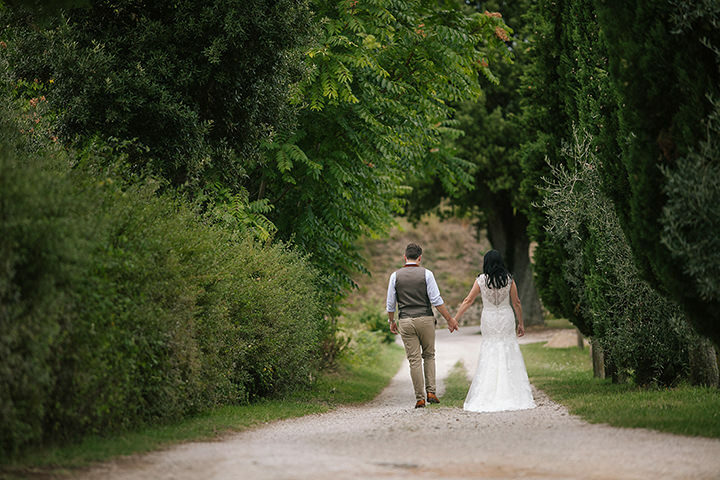 We were very conscious of the costs and that we were asking our guests to travel to Italy and pay for accommodation for 2/3 nights – so we wanted to ensure their efforts were appreciated….and there wasn’t much cost when they got to the venue. 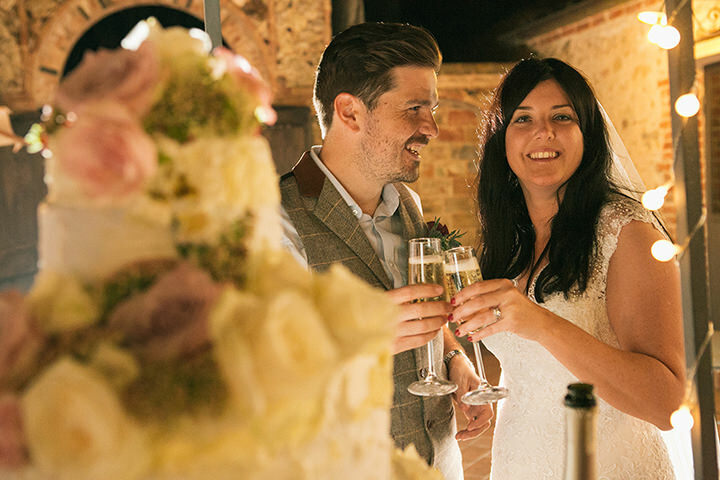 The budget was based on what we thought a UK wedding in a luxury stately home or manor house would cost for one day – including transport, venue hire, catering etc. 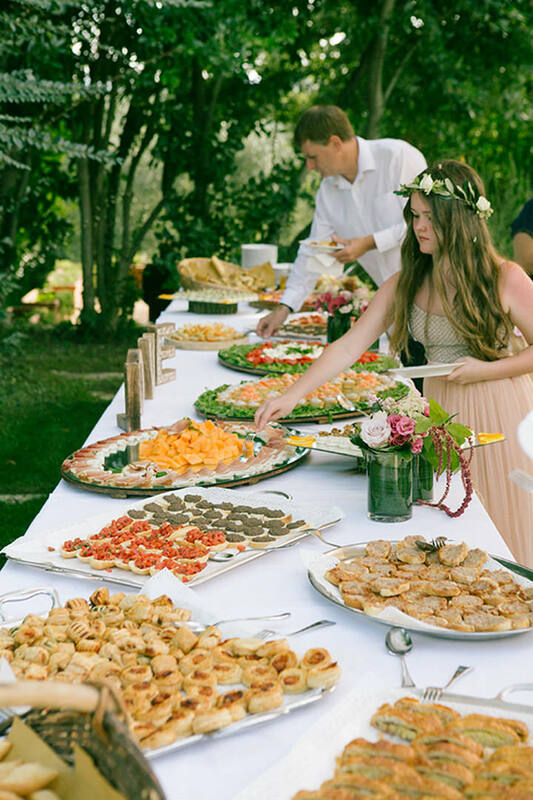 However, we believed we could plan it in Italy with food and drink included over the three days for all the guests and it be a similar amount. We had a Pizza & Prosecco welcome party on the Friday, the wedding on the Saturday and an ‘I Do’ Farewell BBQ 80’s style on the Sunday. We saved by having everything at one venue. The accommodation, ceremony and reception dinner, plus all the other celebrations. 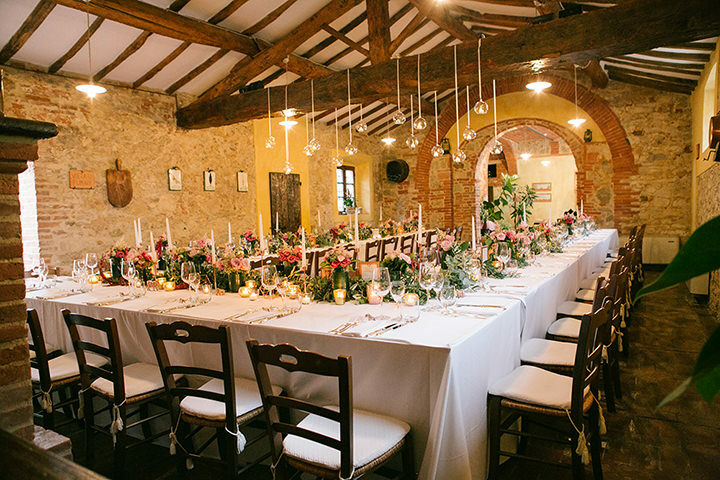 We hired a wedding planner based in Empoli near Florence, which came with its cost but equally she helped us source the suppliers and negotiated on our behalf, saving us planning time and money. 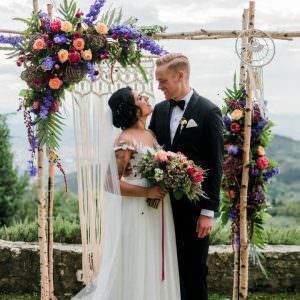 Our biggest splurge was probably the flowers and table decorations – we had a beautiful floral arch which we got married in front of and the reception dinner had a fabulous flower arrangement running the length of the U shaped table plan dotted with copper candle holders and geo decorations. 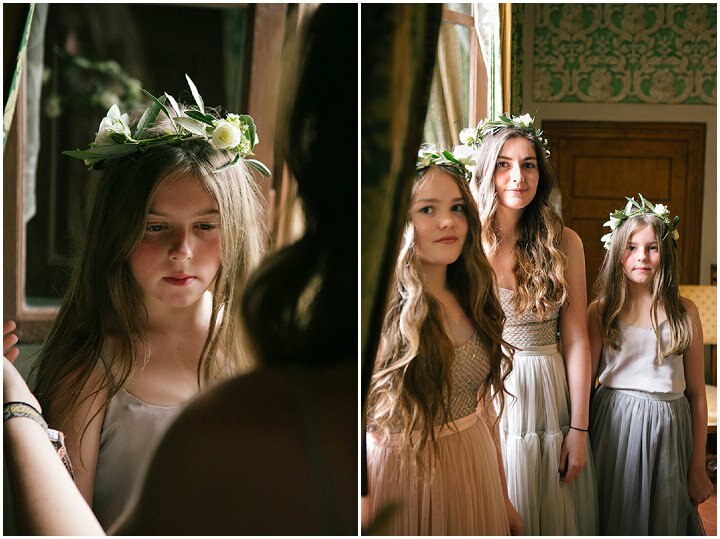 We also saved by sourcing and shipping some of the decorations out to the venue from the UK. 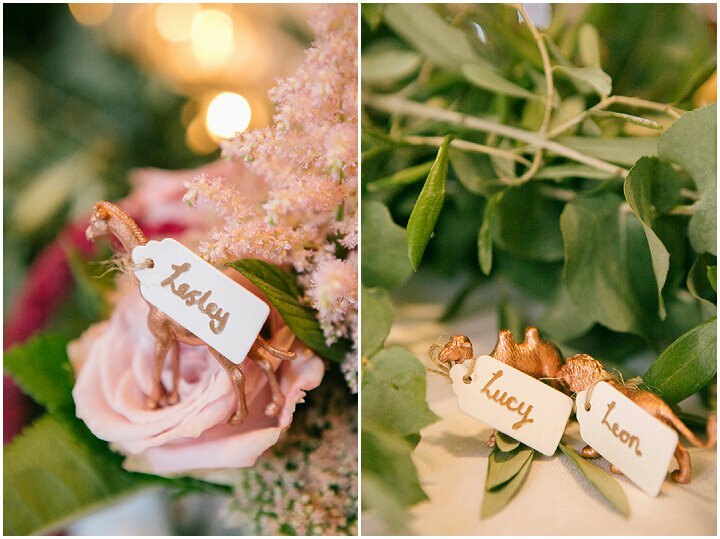 We also spent hours spraying plastic safari animals with copper paint to put in the flower arrangements and use as place cards. 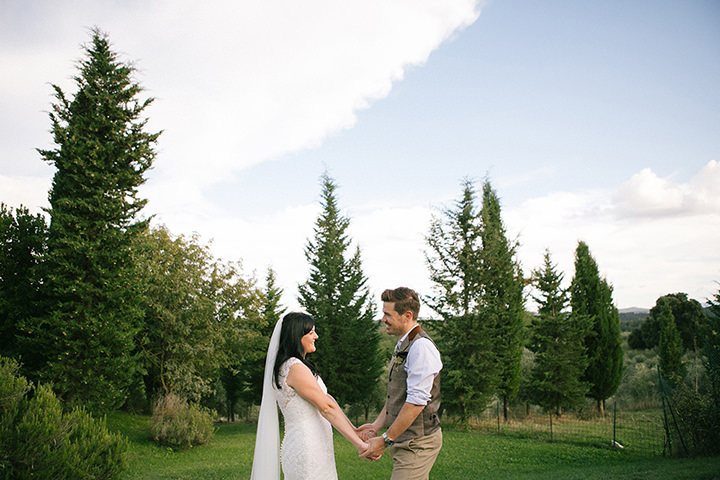 Francesco from the Studio “Memory Wedding Tuscany” was recommended by the wedding planner and his casual reporter style suited the laidback feel we wanted for the wedding. We don’t like getting our photo taken and feel very un-natural in front of the camera. His approach suited our day perfectly. 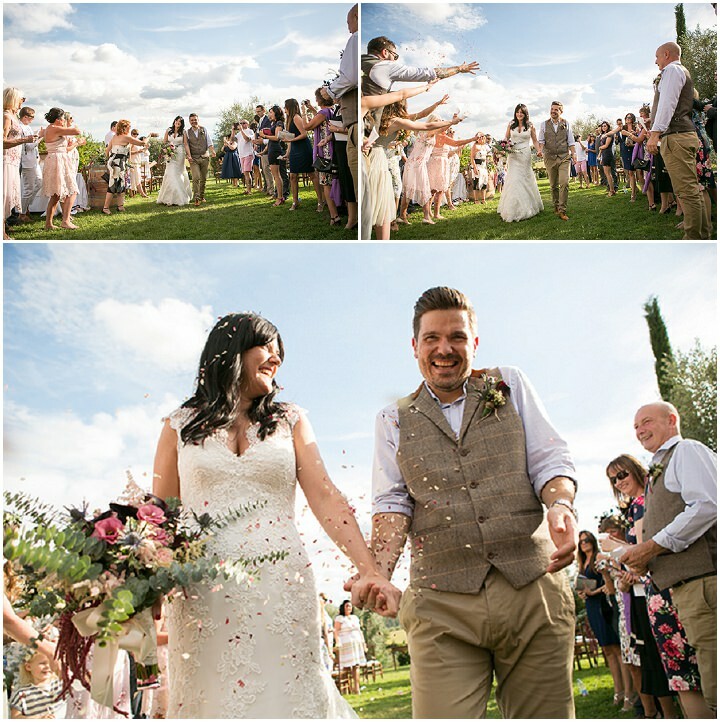 My dress was designed by Allure Bridal and made from Italian lace – I pretty much knew this was the one but I did have to try a few more just to reassure myself! I wore a long train veil. 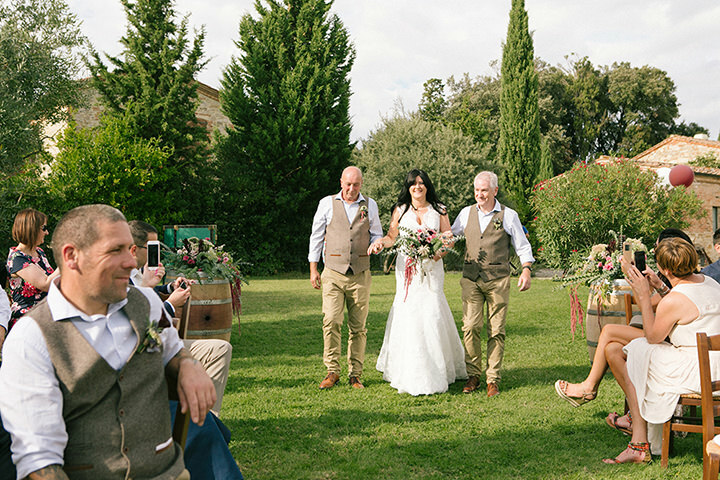 Leon wanted a laidback look for himself and the grooms men, and of course hoping for the lovely Italian sunshine, didn’t want too many layers. Eventually we came across Marc Darcy and they had exactly what we were looking for! 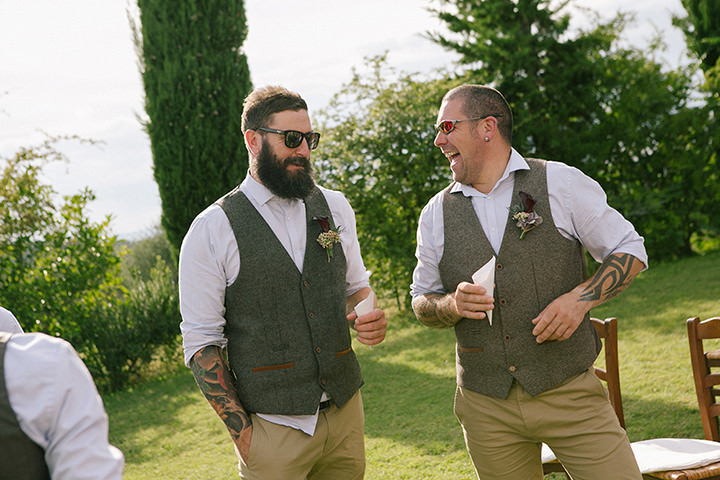 We wanted each of the grooms men to wear a different style tweed waistcoats and they had so many to choose from…and a bargain at £35 each. 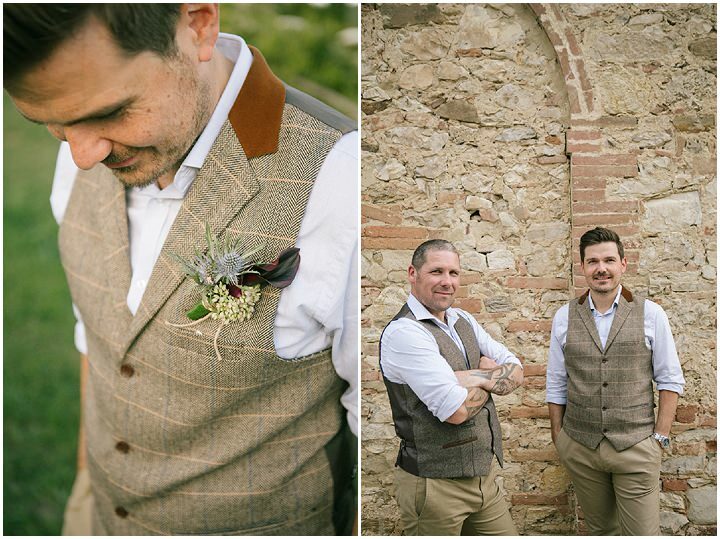 We teamed the waistcoat with a pair of slim fit chinos from Zara and a pale blue shirt from Matalan to complete the look – the whole outfit cost less than £70 each…and they looked a million dollars! 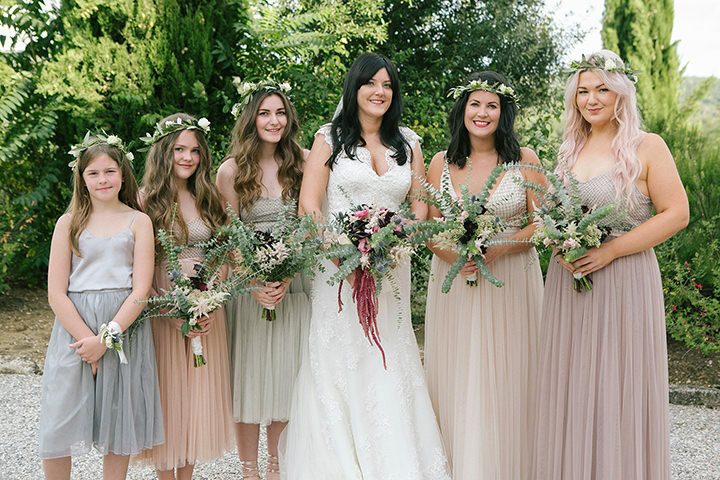 With the venue being very rustic and surrounded by beautiful flowers and greenery, we were keen to keep our theme complimentary with natural foliage and pastel shades. We didn’t have an exact theme or colour scheme as such, we just tried to bring lots of things to the day and hoped they somehow worked! I collect postcards from all my travels and the theme was inspired by some vintage style postcards we bought whilst in Bellagio, Lake Como for my 30th birthday. 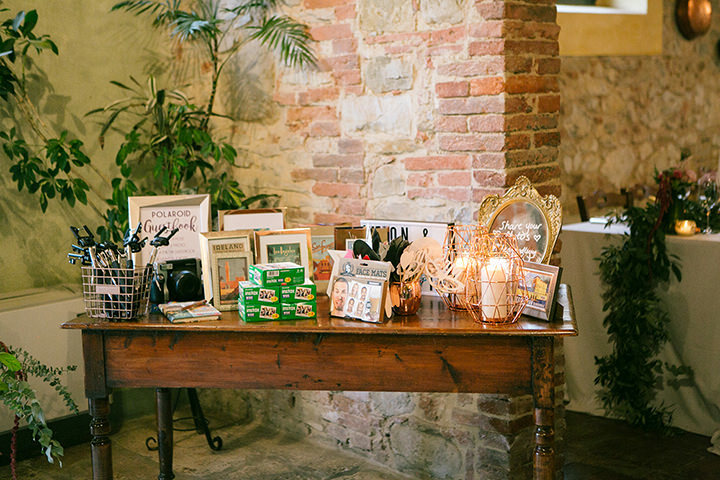 All the invites and wedding stationary were designed around a vintage travel theme and the venue was decorated with around 30 frames filled with postcards from cities and countries we’d visited together. Very early on I loved seeing all the copper accessories used in styling shoots on wedding blogs, but some of these were over-the-top and not very achievable for the every-day bride and her budget. 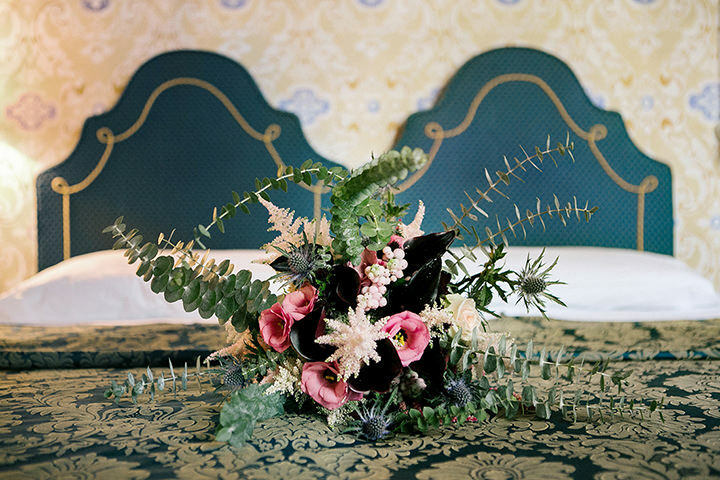 It was also too glam for my taste and I wanted to tone down the style for our wedding decoration by bringing lots of foliage and flowers into the mix. My bouquet was unstructured and oversized to give it a wild and ‘just made-up feel’. It was heavy with foliage, mainly Eucalipto and Baby Eucalyptus and had very pale pink Astilbe, English Roses and Symphoricarpos Snowberry with deep pink Lisianthus and Sedum. Hanging Amaranthus Rosso and Eryngium Thistle gave it texture and the Chocolate Cosmos and nearly black Calla lilies added contrast. 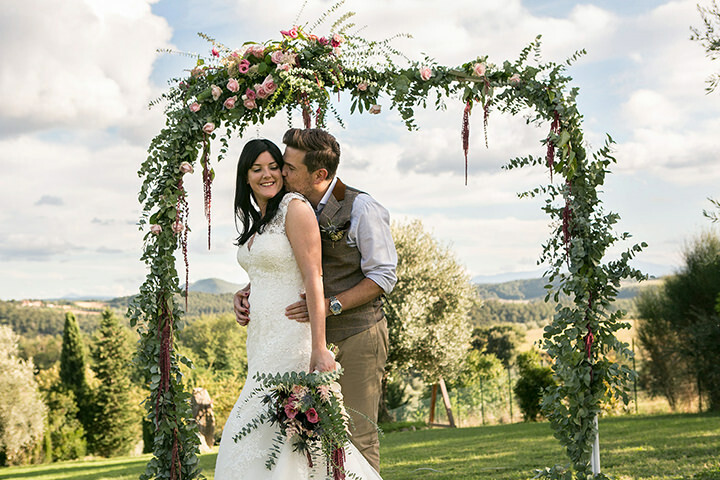 The ceremony arch, aisle and floral decorations were mostly green foliage with English Roses, Lisianthus and Hanging Amaranthus Rosso. 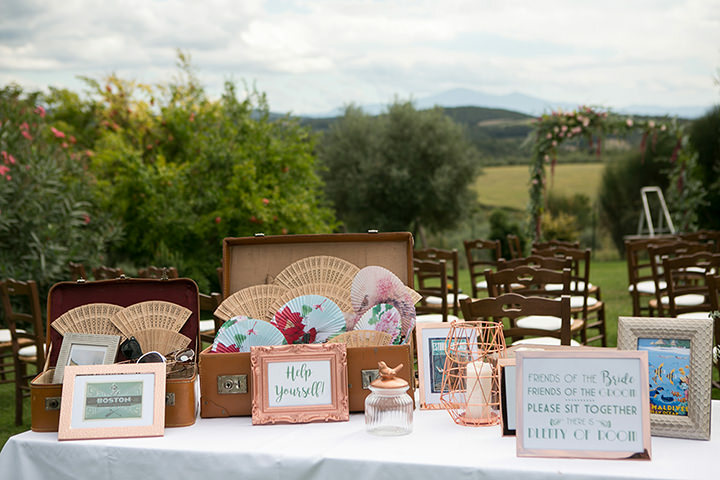 Wedding Ceremony – we hired in vintage luggage to match our travel theme, and decorated the area with the vintage postcards in a mixture of metallic photo frames with copper geo decorations. We had beautiful brightly coloured paper Chinese fans and sunglasses for the guests to use. 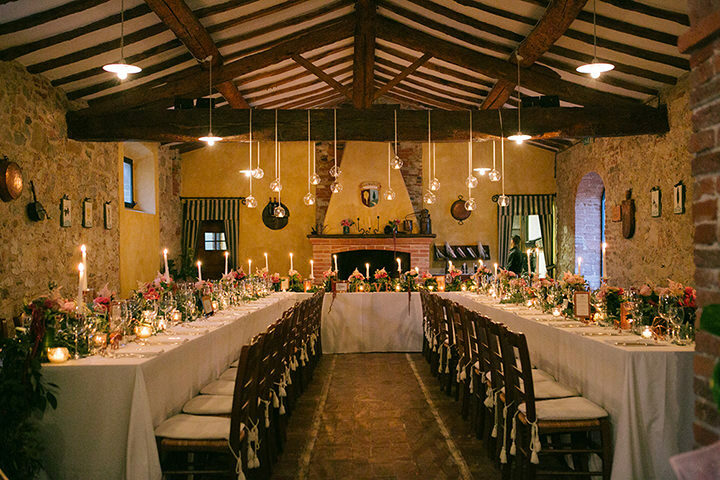 Reception Dinner – beautiful candlelight amongst a floral garland decorated our U-Shaped table arrangement with copper geo shapes and copper strayed safari animals. 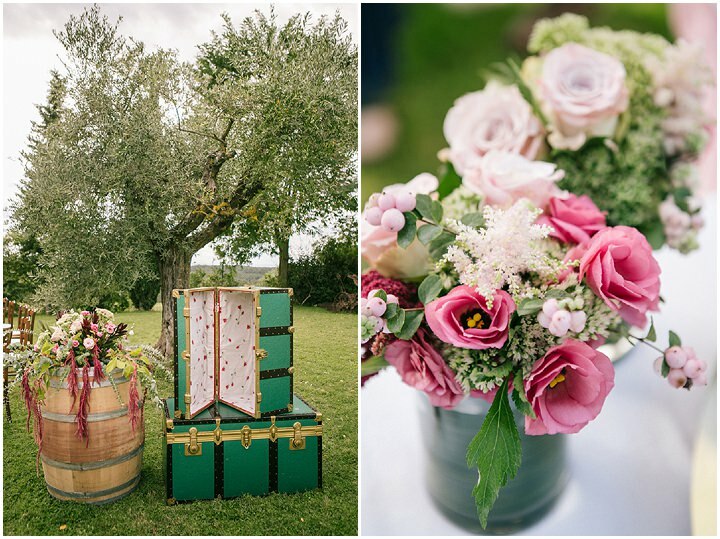 The floral arrangements used for the aisle decoration were re-used throughout the venue. 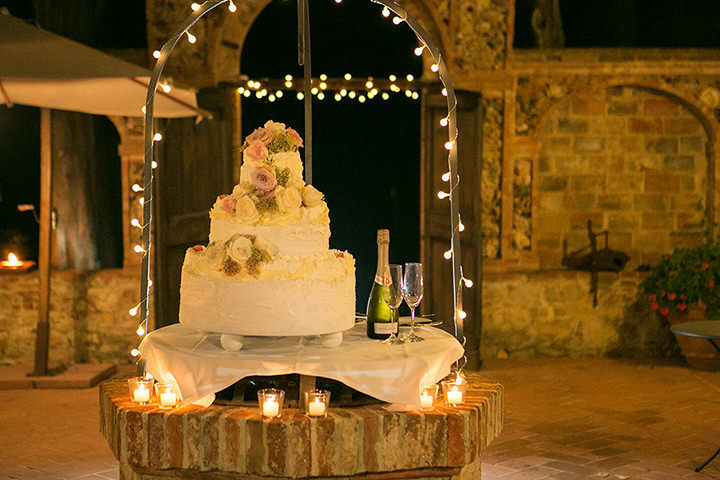 A traditional Italian Millefoglie layered wedding cake which we served with prosecco after dinner. 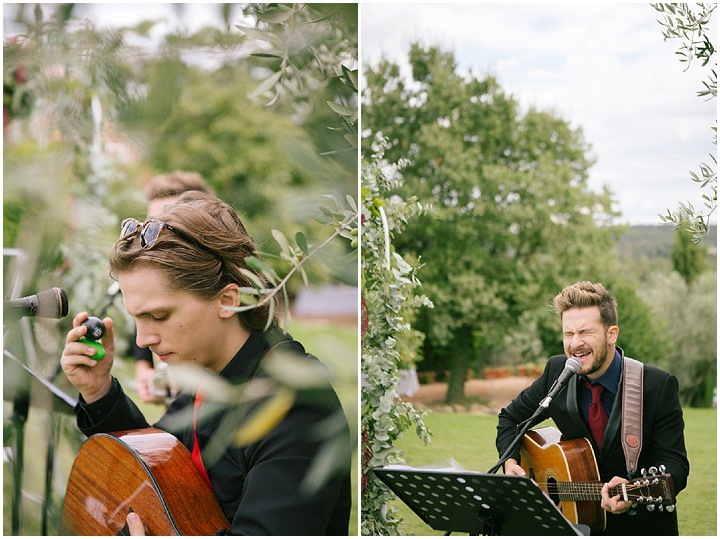 We had live music throughout the celebrations, starting with a trio playing as guests arrived for the outside ceremony playing easy listening and popular guitar music. 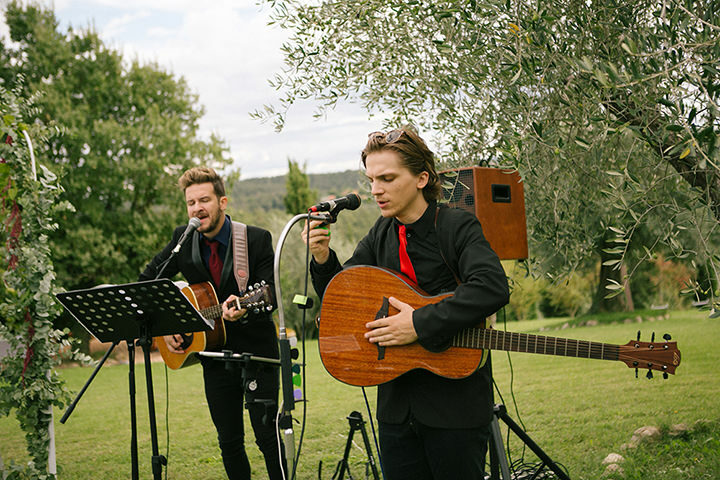 During the drinks and canapes, another member joined them creating a more upbeat tempo including a mixture of swing, pop and country & western. For the evening entertainment they played songs from all eras for our guests. 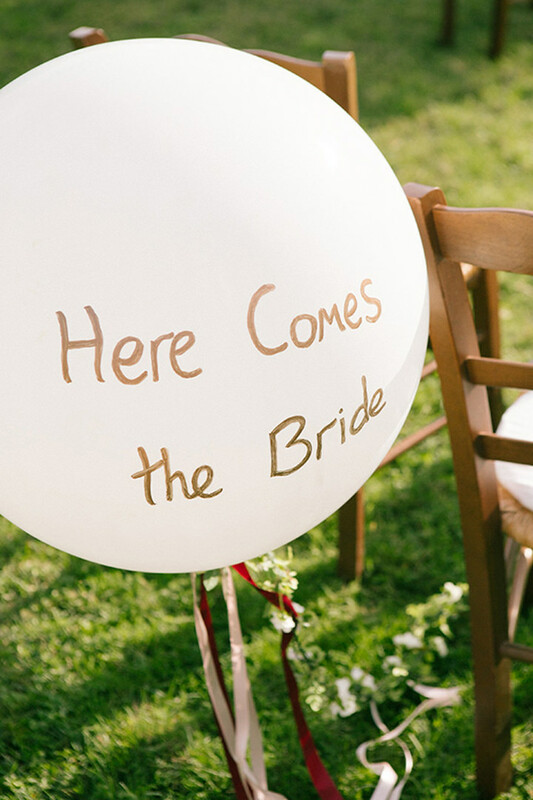 A good friend of the bride owns a design and print business called Q Design. 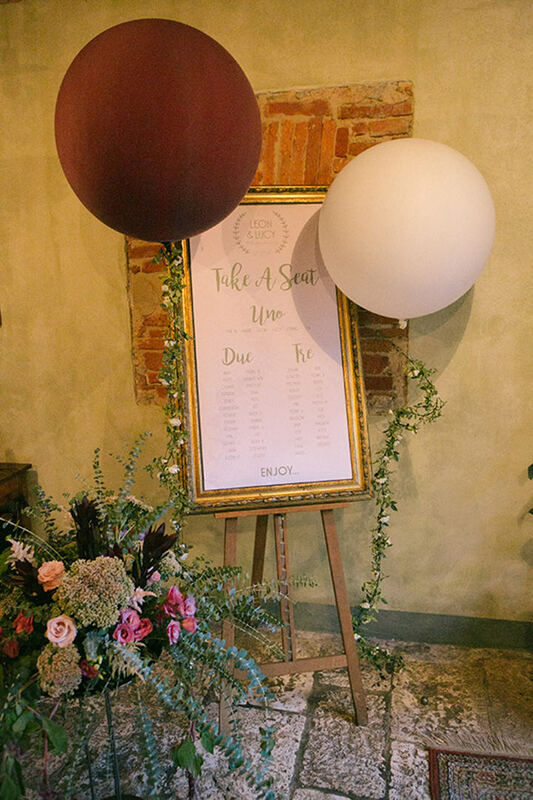 All the wedding stationary was bespoke, and designed with the Vintage Travel theme in mind, it included the save the date, wedding invite, welcome pack and a thank you note, plus the menus, table plans and added touches used on the day. 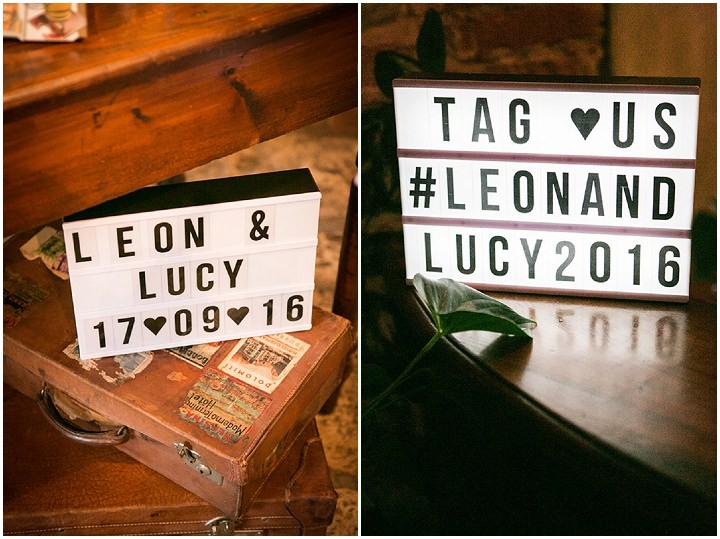 The vintage postcards in the copper painted frames and the copper spray-painted animals were very much our personal touches – bringing in our love of travel and our plans to honeymoon in South Africa. The brides best friend was unable to attend the wedding being 8 months pregnant and living in the USA, so she prepared a video which was played during the speeches. 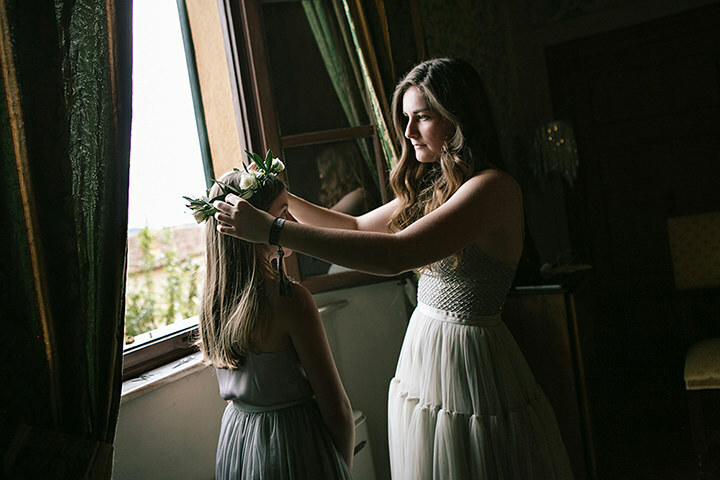 She had everyone in tears with a medley of photos from our pasts. Also, seeing how everything came together and how beautiful the floral decorations looked on the table after hours of debating and endless emails between myself and the wedding planner. Make sure you get to spend some time together during the days celebrations to step back and take everything in. The day flies by and it’s important to share as many moments as you can together. The weather! 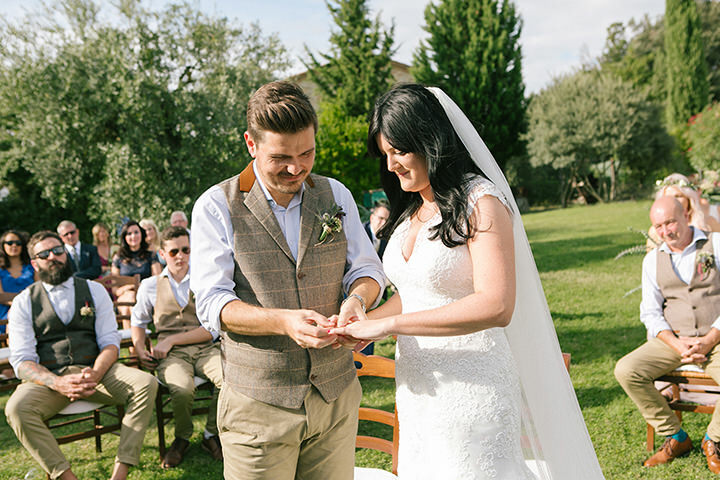 We’d hoped that by booking a destination wedding, we’d guarantee the weather – how wrong could we be? 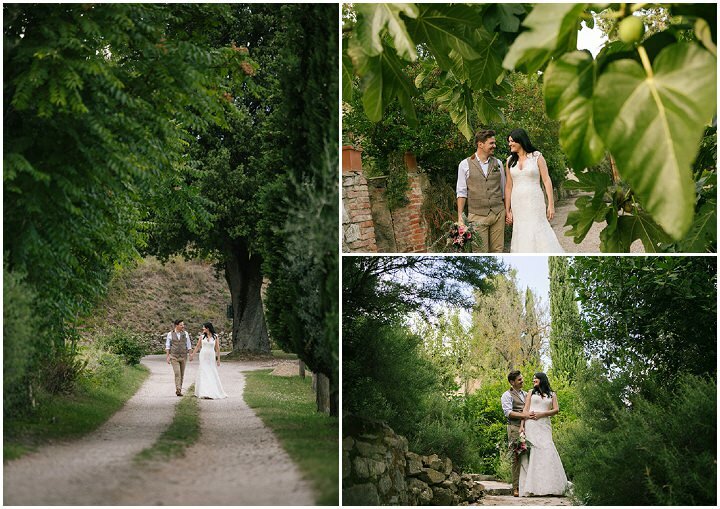 It was glorious sunshine when we arrived on the Wednesday before the wedding, however on the Friday there were storms and lashings of rain for when our guests were arriving. However, on the day we had beautiful sunshine and clear blue skies…we went to bed with everything crossed and praying for sunshine the night before! Then it turned back to rain on the Sunday. 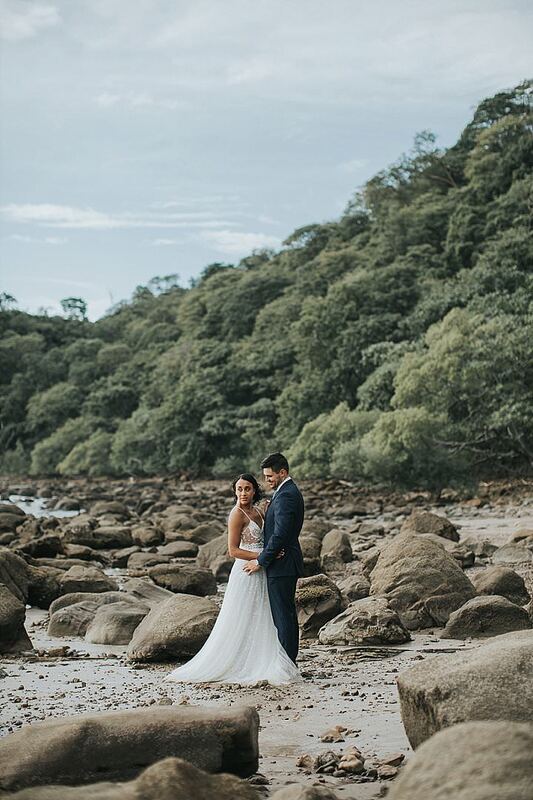 Somebody must have been watching over us on our wedding day! Amazing! 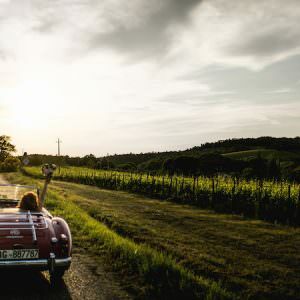 Funny people, beautiful location, and lovely photos, compliments!